The Incoming Tour Operators Association of Ireland (ITOA) has released the results of their annual survey on the nature, scale and value of the inbound tour operators to Irish tourism. This is the 8th consecutive year in which this survey has been conducted so the ITOA members have experienced many highs and lows over the period. CLICK HERE to download the survey. 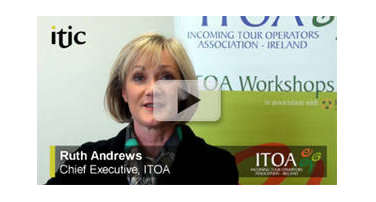 ITIC spoke to ITOA Chief Executive Ruth Andrews to hear what she had to say about the results.